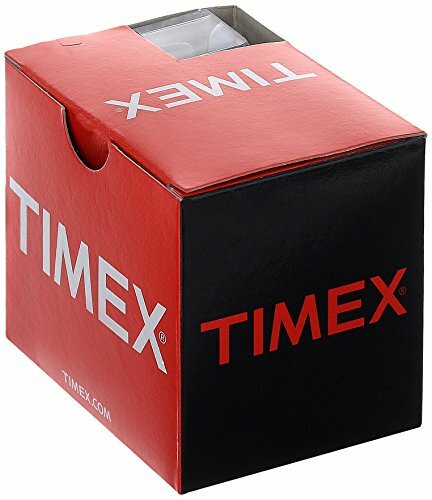 This sport chic T2N436 leather strap watch by Timex is the ideal accessory for day wear. It features a simple design with a textured champagne dial and gold-toned bezel. As a stylish and functional timepiece, it also boasts easy-to-read Arabic-numeral indexes, a convenient date display at 3 o'clock, and an Indiglo night light. This watch is powered by precise analog-quartz movement and is water resistant to a depth of 165 feet (50 meters).